February 2019 premium bond winners: is it still worth it if you lose? National Savings and Investments (NS&I) has revealed February’s premium bond prize draw winners, including two that have secured the coveted £1m jackpot. In this month’s draw, more than 3.2m prizes were handed out ranging from £25 to £1m – but millions of savers will have gained nothing at all. If your premium bond numbers haven’t come up in a while, it might be worth considering if it’s the right investment for you, especially as more than 170 savings accounts now beat inflation. Which? reveals this month’s lucky winners and the best homes for your cash if you worry about not winning enough in the premium bond prize draws. The first £1m jackpot winner selected by Ernie this month is a man from Humberside (bond number 196XA565201) who bought £30,000 of bonds in September 2012. The second lucky winner of the other £1m prize is a man from Devon (bond number 227WY22783) who has £40,000 invested and bought the winning bond in July 2014. In total, there were more than 3.2m other prizes awarded. Both of February’s jackpot winners have had a long wait to land the big prize. 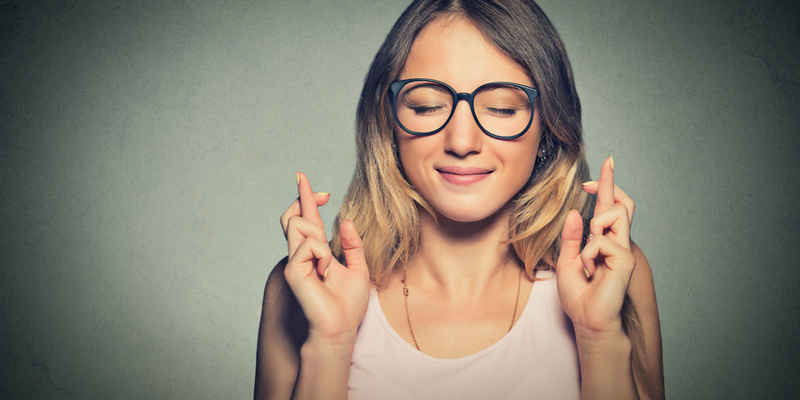 Their wait has paid off, but are you happy to take that chance with your money? Below we look at the odds of winning and how inflation could be eroding your savings. Are your premium bond savings beating inflation? Premium bonds don’t pay interest like a traditional savings account. Instead, savers are entered into a monthly draw for the chance to win tax-free prizes ranging from £25 to £1m. Premium bonds give you a chance – albeit a slim one – to earn far greater rewards than you would from a normal interest-paying account. Leaving aside the high-value jackpots, even some of the smaller prizes offer appealing returns. To earn £50 on a £1,000 deposit, you’d need to be earning 5% interest, which is next to impossible with a standard fixed-term account. That said, the ‘annual prize fund rate’ on premium bonds, which determines how much money is issued as prizes every month, is currently 1.4%. This means that a person of average luck could expect to earn around 1.4% return on their savings, though there’s no guarantee that you’ll earn anything at all. In fact, in last month’s prize draw, NS&I told Which? out of a total 22.3 million premium bond savers, just 1.8 million landed a prize. This means more than 20 million savers got nothing at all in January’s draw. The odds of an individual £1 bond winning any prize in the monthly draw is one-in-24,500. So, there’s a high chance you won’t win in any given month, which may be an issue if you’re worried about inflation. You can up your odds by buying more bonds, with our analysis showing that a person holding £10,000 in bonds has a 99.99% of winning a prize during a 12-month period. But if that prize is just £25, you may be disappointed and you cash could have been doing better elsewhere. If you want to guarantee that your savings will keep up with rising prices, you could consider moving your cash to an account with fixed interest. The latest figures from the Office for National Statistics show that inflation fell to 2.1% in December 2018 – the lowest level since January 2017. According to Which? analysis the drop means there are now over 170 savings accounts – including 79 fixed-term savings accounts that can match or beat inflation. Below we’ve picked out the top-paying savings accounts across a range of easy access, fixed-rate and cash Isa deals for those with a deposit of at least £1,000 that are open to all savers. To explore the deals that match or beat inflation head over to Which? Money Compare. If you have a large amount of savings, keep in mind that most accounts will be covered by the Financial Services Compensation Scheme, which only guarantees £85,000. Accounts from the NS&I, on the other hand, are fully backed for the whole deposit. While the limit on premium bonds is £50,000, some of the other NS&I savings products – including their Income Bonds and Direct Saver products – allow deposits up to £1m, fully backed by the government, though the interest is comparatively low. You can cash in some or all of your premium bonds at any time without a penalty. If you originally applied for the bonds online or by telephone, you just need to log in to your account or call 08085 007 007. NS&I will cash in your oldest bonds first and the money will be paid into your nominated bank account within around three working days. You can also make a claim by post using this premium bonds cash in form, with the option to cash in a specific set of your bond numbers if you wish. It takes around eight working days to process the request and transfer the money into your chosen account. Please note that the information in the table above is for information purposes only and does not constitute advice. Please refer to the particular terms and conditions of the savings account provider before committing to any financial products. Which? Limited is an Introducer Appointed Representative of Which? Financial Services Limited, which is authorised and regulated by the Financial Conduct Authority (FRN 527029). Which? Mortgage Advisers and Which? Money Compare are trading names of Which? Financial Services Limited.